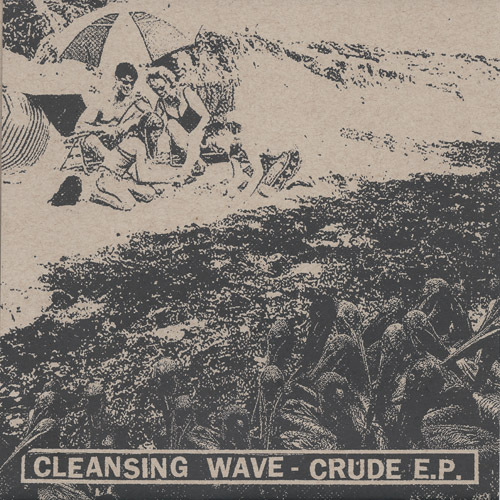 Man In Decline Records - Cleansing Wave - "Crude EP" 3-Sided 7"
MID019 - CLEANSING WAVE "CRUDE EP" 3-SIDED 7"
The "CRUDE EP" is the latest release by Massachusetts punk quartet, CLEANSING WAVE. 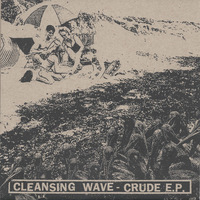 Crude serves as a follow-up to a previously released demo, a "s/t" 7" EP, and a series of slit releases, including a split flexi with GASH, a split cassette with TINITUS, and a split 7" with San Francisco's MIDNITE BRAIN. Cleansing Wave is known to win audiences over with their ripping live show full of reverb-drenched vocals and all-out punk attack. To honor the session that produced Crude, Man In Decline Records created a 3-Sided 7" cut by long-time MID collaborator and lacquer wizard, Adam Gonsalves of Telegraph Mastering. The A-Side contains two songs and a reverse cut third track, making the overall 7" a 5-track EP. Colored vinyl available through mail-order and the band only. Immediate download available upon purchase. This is a preorder and will ship no later than August 22, 2014.